Essiac is a herbal blend that has been used as a natural and alternative cancer cure. It was discovered by the nurse Rene Caisse. We have all been brought up to believe and accept that cancer is a killer and that no definite cure exists, although scientists are doing their utmost to find one. Millions are collected by charities and invested in research, which means more brutal and pointless vivisection experiments. Every week brings reports of deaths caused by it and there are few people, who do not know someone who has it, and are receiving treatment, or who had the disease and are now sadly deceased. It strikes down rich and poor, the famous and the unknown, but what many people don't realise is that several alternative and natural remedies, which really work already exist. The magazine racks, these days, are becoming increasingly filled with publications devoted to conspiracy theories, New-age material, alternative culture and 'Fortean' phenomena and information and adverts for these remedies and therapies can often be found in these. Since 1922, Nurse Caisse used Essiac, her original herbal formula, to promote immune system health and overall well being worldwide. NEXUS - New Times magazine is probably the best example of one of these. Books on the subject also exist with a growing body of evidence and personal testimonials backing up the claims for the effective nature of these cancer treatments. One of these reported "remedies," attracting much attention in these circles is commonly known as "Essiac," the Canadian Indian herbal treatment, named after its 'discoverer,' Rene Caisse, with the name of the remedy made by spelling her surname in reverse. It is said that Rene came across it whilst working at a hospital, where she met a patient who had been cured of cancer when she had been given a herbal mixture by a medicine man of the Ojibwa tribe. She quit the hospital in 1922, at the age of 33, and moved to Bracebridge, Ontario, where she began giving Essiac to all the people who came to see her seeking a cure. Many of these had letters from doctors claiming and confirming that the patient had incurable terminal forms of cancer. Caisse began to make the Essiac in her kitchen, after collecting the necessary herbs she required and the news soon got out by word of mouth about her incredible treatment. The most amazing thing about it all is that the plants that make Essiac are all very commonly found in Canada and North America and are equally widespread in Europe and other parts of the world. I'll give details of what they are and about the recipe for making Essiac a bit later on. Many of those treated were cured, others who had suffered severe damage to their vital organs lived much longer than had been forecast by the medical authorities and these patients were virtually free of pain while they were having Essiac as their treatment. Others, who hadn't sustained such serious internal damage, lived another 30 or 40 years and some are still living today! In the early 1960's a clinic, which was being run by Dr. Charles A. Brusch, worked alongside Rene and treated thousands of cancer patients were treated. The doctor also worked with the Presidential Cancer Commission, the American Cancer Society and the National Cancer Institute. Following ten years of study he concluded that "Essiac is a cure for cancer, period. All studies done at laboratories in the United States and Canada support this conclusion." However, Gary Glum claims that the federal government did what they could to silence Dr. Brusch with threats of imprisonment and we have heard no more from him since then. Rene naively thought that the world would welcome her discovery with open arms and the cancer sufferers, indeed did, however, many authorities with vested interests in research funds and the pharmaceutical industry were in direct opposition to her efforts and soon she found herself in legal trouble. Herbal Balance For Life, Inc.
One pound Essiac blend herbal tea. Contains all organic burdock root, sheep sorrel herb, slippery elm inner bark, turkey rhubarb root. "Cancer is the second largest revenue producing business in the world," says Dr. Gary Glum, who is the author ofCalling of an Angel, which is the full story of Rene and Essiac. Sadly, money equals power and power is often used to do away with the truth. The Canadian Ministry of Health and Welfare and the Parliament of the nation got involved in the matter of Essiac. A panel of six physicians were selected as members of the Royal Cancer Commission in August, 1938, to launch a probe into alternative and unorthodox cancer treatments and to focus on Rene Caisse and her remedy. As many as 55,000 signatures from former patients were collected and presented to the Canadian official authorities as a petition calling for Rene to be allowed to continue to give Essiac to anyone asking for this remedy. And it came within three votes in 1937 of being made legal by the government of Ontario as a treatment for terminal cancer sufferers. The final outcome of the matter was that Caisse was allowed to continue as long as she remained within certain criteria. She was only allowed to treat people who had been officially given up on and a pathologist was required to certify this was the case. The other criterion under which she was allowed to practice was that she was not to charge for any of the treatments. So, Rene succeeded in being able to treat patients with Essiac for a period of 40 years, however, when she died in 1978, all of her documented evidence and the case reports she had collected were burned and destroyed. 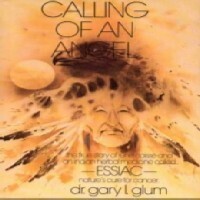 Dr. Glum also had terrible difficulty finding a publisher for his book due to fear of wrongful death lawsuits that might result if a family member of someone deceased, or a lawyer for such a person, should decide that death was caused by past use of Essiac, which does not have the official approval of the AMA or the FDA. Glum decided to self-publish, but after he had done so the IRS slapped a half million dollars tax demand on him and, he claims, that they admitted it was not to do with tax but with cancer. Pallets full of books were taken from Dr Glum's offices and thousands of copies were also confiscated by Canadian customs officials and never given back. This powerful extract is derived from the hulls of green black walnuts, and has been used for centuries as an herbal tonic to promote healthy microbial activity. So, what are the actual herbs that have generated all this controversy and legal problems? The herbal ingredient reported to destroy the malignant cells of a cancerous tumour is the Sheep's Sorrel (Rumex Acetocella), a common weed of fields, lawns and meadows. According to an interview with Dr. Glum, the Canadian government have banned it from distribution and sale. The other herbs that make up Essiac, and which are all blood-purifiers, are Burdock (Arctium lappa), Slippery Elm (Ulmus fulva) and Turkish Rhubarb (Rheum palmatum). The Turkish Rhubarb was added by Rene to the recipe for the remedy but you can also use ordinary Rhubarb, which is grown in gardens and allotments. The Burdock stimulates sweating as well as having diuretic properties and containing antibiotic substances. Fortunately, all the necessary herbs for making Essiac are readily available without too much difficulty in finding them. Sheep's Sorrel and Burdock are found growing wild and the Rhubarb and Slippery Elm are easy to get from herbal suppliers and some good health stores that stock loose herbs in bulk. An article published by the Canadian Journal of Herbalism, entitled Old Ontario Remedies, states that "Essiac is not a hoax or a fraud." The report added that although Essiac has been mainly known as a cancer remedy, it has also alleviated, and sometimes cured, many other chronic degenerative conditions because it purifies the blood as well as being a tonic for the liver and strengthening the immune system. Gary Glum, echoed this, saying that Rene had discovered that it healed stomach ulcers in three or four weeks. Besides this, it was found that it helped regulate the function of the pancreas and that diabetic sufferers with diabetes mellitus became insulin-free when treated with Essiac. Dr. Glum maintains that since he has been taking Essiac himself he has experienced "almost perfect health," and has benefited from "all sorts of energy, and no sickness, not even a common cold or flu." Essiac, it is also said, elevates the enzyme system giving all cancer patients and all AIDS patients the enzymes that they have lost from their bodies. Essiac is believed to elevate the hormone system, which in turn elevates the immune system , and thus the body can cure itself. Dr. Glum claims that "Even its worst enemy could never lay claim that Essiac had any deleterious effects whatever. You can take Essiac safely, through all the clinical trials that have been done, up to six ounces a day. That's two ounces in the evening, two in the morning and two around noontime. That's a high dosage. Rene had the correct herbs and she used as little as one ounce a week." Nevertheless, a word of caution is required because there is an ongoing debate about the safety of Essiac for people who suffer with gout, arthritis and impaired kidney conditions. This is because of the high oxalic acid levels in the Sheep's Sorrel, so anyone suffering these conditions should not take it without first consulting a professional herbal practitioner. Gary Glum informs us too that some businesses are substituting Curly Dock as an alternative for the Sheep's Sorrel so people are getting the wrong ingredients in some cases. In addition to this, there is a continuing war of dis-information and other tactics between opponents that have vested interests in the use and distribution of this incredible but controversial herbal remedy. Dr. Glum claims that before his book was published the public had no access to the formula for Essiac preparation save for a few articles that had been written. However, the Resperin Corporation from Toronto, supposedly a private institution, who bought the formula from Rene for one dollar have researched Essiac since 1978 and went on to market it claiming that only they have the correct formula. Glum says that Rene thought that she would be in charge of the research team and that the Resperin Corporation would get Essiac into the public sector without compromising her values. He claims that she sadly discovered that they were letting her go after they had got the formula, and that they were working hand in glove with the Canadian Ministry of Health and Welfare, who in turn work directly with the American Food and Drug Administration. Whatever the truth of the matter is, it appears that the Resperin Corporation have taken steps to actually copyright the term Essiac, which, as I already said, is merely the reversal of Rene' surname, and that they aggressively campaigned against anyone using this name to market the herbal remedy. It seems very sad that all this fighting and bickering is going on over something which has been shown to save lives. Dr. Glum distributes the preparation instructions away for free whilst the Resperin Corporation stand to make vast sums of money. As to what you decide about all this it is up to you. SOURCES for this article: Robinson, Elizabeth - interviewing Dr. Gary L. Glum for Wildfire Magazine, Vol. 6, No. 1, Launert,Edmund, The Hamlyn Guide to Edible and Medicinal Plants of Britain and Northern Europe, published by Hamlyn, London, 1981, Fraser, Ivan, Article, 'Essiac- Nature's Cure For Cancer, The Truth Campaign Newsletter, Issue 1, June, 1996. NB: Clouds Trust is a secular charitable organisation based in Hampshire, UK that continues reserach into complementary medicine, especially in relation to cancer treatment. Mali Klein, the founder of the trust, along with Shelia Snow, have written a book entitled Essiac Essentials. Sheila actually worked alongside Renee for 3 years and learned much valuable information. http://www.cloudstrust.org for further info. Soothes, heals, and coats to protect the tissues of the throat and mouth. The original formula was first created in 1847 for Opera Singers. Cindy, thanks for explaining and I am delighted to know you and your sister already know about what I am talking about. I meant to say in my first comment that 'my sister gets it for her from The Cloud's Trust' but see I missed out the word 'sister'. Seems it isn't just you who is trying to do too many things at once lol. Thanks, Cindy! I am trying to do too many things as usual! Excellent article Steve. My Mum is actually on this stuff already and my gets it for her from The Cloud's Trust. They won't even charge you for it if you can't afford it, but it is always nice to give a donation if you can so that they can continue their great work. I noticed you have a bit of duplication in your text, the last two paragraphs in the Rene Caisse section and the second two paragraphs in the Gary Glum section are identical. You might want to edit that.